That year, the city of Moscow used 23 million liters of automotive lubricants, followed by the Moscow oblast at 15 million liters. These regions were followed by Primorsky in the Russian Far East, which consumed almost 11 million liters of motor oil, Krasnodar region (10 million liters) and St. Petersburg (9 million liters). Russian Automotive Market Research (RAMR), total consumption of motor oils by passenger cars, light commercial vehicles and buses reached 704 million liters in 2012. The consultancy expects the market for these categories to reach 783 million liters by 2017. The survey’s data on total motor oil consumption includes both factory fill and service fill volumes. In 2012, Russia’s passenger cars consumed 259.6 million liters of finished lubricants. Tatyana Arbadzhi, head of RAMR, told GBC’s CIS Base Oils, Lubricants and Fuels Conference in Moscow in May. “As of January 2013, the number of passenger cars in Russia reached 36.9 million, and we expect it to grow to 50.5 million by 2018,” she said. 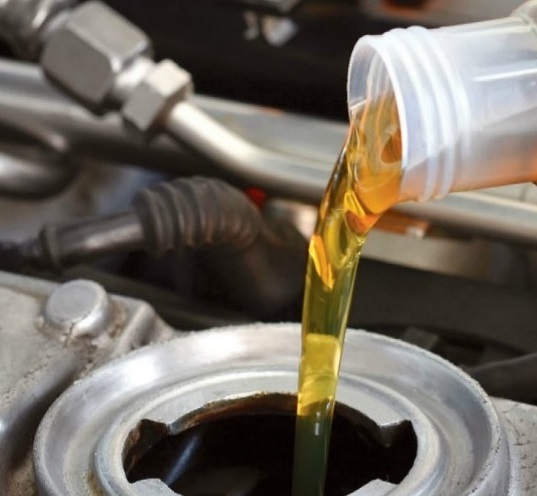 It will lead to a significant increase in motor oil demand by this category that could reach almost 300 million liters by 2017.” In 2011, Russian demand for passenger car motor oils reached 240 million liters. Truck owners are the biggest consumers of automotive oils in Russia, purchasing 327 million liters in 2012. They were followed by owners of light commercial vehicles (88 million liters consumed) and buses (29.8 million liters consumed). RAMR found that truck motor oil consumption is expected to rise to 353 million liters by 2017, followed by light commercial vehicles, which could consume 102 million litters by 2017, and buses, expected to consume 33 million liters by 2017. As in the recent past, far more foreign-branded cars are used in the country compared to Russian brands. However, this is not the case with trucks, buses and light commercial vehicles, the majority of which are Russian-made. “Foreign-branded passenger cars held 53 percent share of the total number and are expected to grow to 60 percent by 2018, while the share of Russian-branded cars will decrease from 47 percent in 2012 to 40 percent in 2018, because foreign-branded cars are more efficient and typically use synthetics, they consume less motor oil compared to Russian-made cars, according to RAMR. In 2012, foreign passenger cars consumed 122 million liters while Russian cars consumed 138 million liters. “Increased sales of foreign-branded cars will lead to high oil consumption by this category. Expectation to reach 177 million liters in 2017, compared to 118 million liters for Russian cars in the same year. The Russian car Lada has always been the leading brand for motor oil consumption in Russia. RAMR found that in 2012 it consumed almost 10 million liters of motor oil, followed by France’s Renault (2.4 million liters) and Japan’s Nissan (1.9 million liters). RAMR expects Lada to remain the largest motor oil consumer in Russia, using 8.3 million liters by 2017, followed by Renault (3.6 million liters) and South Korea’s Hyundai (2.8 million liters).